Coffee traders with shipments transiting through German borders should not ignore the “coffee tax” in Germany. Indeed, coffee traders must beware of being exposed to the payment of accrued excise duties on coffee shipped in transit through Germany. Such might be the case even when the transporter failed to declare coffee shipments transiting through Germany. A decision by the Austrian Supreme Court (OGH) delivered on 30 November 2016 highlights risks to which coffee traders are exposed. Exporters need to clearly oblige freight forwarders and carriers to take the necessary steps to ensure that excise duties do not accrue. A freight forwarder transported numerous shipments of coffee on behalf of an exporter. These shipments were carried by road from Austria via Germany to other EU countries on the basis of a framework agreement. One day, German customs inspected one of the transports and found coffee that had not been declared. 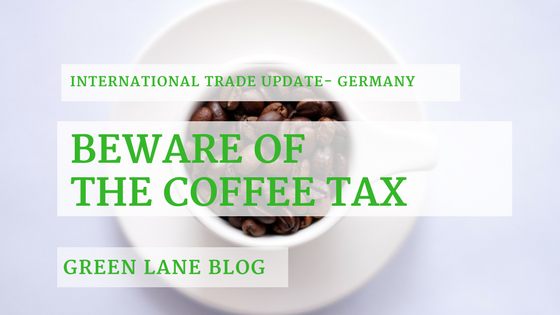 Consequently German customs fixed the “coffee tax” excise duty in excess of 5,000 € for that particular transport. Then, custom authorities demanded a list of all coffee transports in preceding years and at the end issued a payment order for excise duties of nearly 280,000 €. The exporter brought a claim to recover these duties. The OGH held that the respondent did not act grossly negligent in the sense of Art. 29 CMR by not complying with the “coffee tax” transit regime. The claim was thus time barred and the exporter failed to recover the excise duty. The decision highlights the fact that the Council Directive 2008/118/EC of 16 December 2008 concerning the general arrangements for excise duty does not establish a numerus clausus for excise duties. Rather, Member States have power to levy other indirect taxes on excise goods. As a result, traders are confronted to an unharmonised legal landscape holding pitfalls for the unwary (as already illustrated by a previous post on the Portuguese “sugar tax”). Furthermore, the decision shows that courts not specialised on customs’ and excise duty’s matters exhibit difficulties in coming to terms with the law. In this case, the court incorrectly refers to the Directive 2008/118/EC as the “Community Customs Code”. Also, the court could have considered whether excise duties are indeed so rare a creature that a freight forwarder does not need to be aware of them. In this respect the court did apparently not take into consideration that: (a) Austrian law establishes excise duties in line with the Directive; (b) the Austrian “Verordnung des Bundesministers für Finanzen betreffend das Verfahren der Beförderung von verbrauchsteuerpflichtigen Waren unter Steueraussetzung” establishes rules quite similar to that of German law for the transit of goods which are subject to excise duties; and (c) the EU provides the Electronic Excise Movement and Control System (EMCS). Had the Court established that excise duties are common place, the result might well have been different. What should coffee traders learn from this case? For exporters this decision highlights the need to clearly oblige freight forwarders and carriers to take the necessary steps to ensure that excise duties do not accrue. When faced with accrued excise duties, an exporter may consider an action against his transport operator. In such case, one should keep in mind that transport laws and conventions provide for rather short limitation periods. Do you have a question or comment about the Coffee Tax in Germany in Germany, please fill-in our contact form, email us or leave a comment below this article.